Spacious detached villa with 5 bedrooms, 2 bathrooms and large terrace. 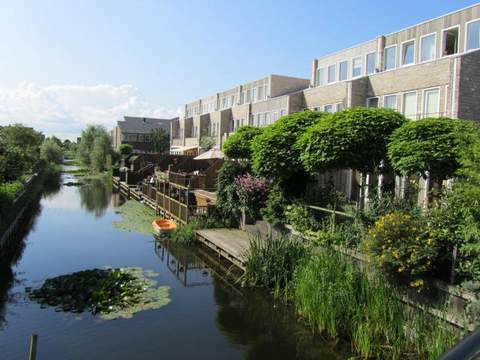 The property is centrally located to shopping centre Ypenburg and the Parade in Nootdorp and within cycling distance of Delft Centre, various schools, sports fields, public transport, railway station, recreation areas (Delftse Hout, Hertenkamp, Dobbeplas and Balijbos) and exit roads A4, A12 and A13. The Hague city center can be reached within 15 minutes by car. Lay out: entrance on ground floor, hallway provide access to all rooms. Spacious bright living with access to large terrace. The open spacious kitchen is well equipped with fridge, freezer, dishwasher, oven, steamer, microwave, electric hob and extractor fan. Stairs to the first floor, the hallway provide access to all rooms. 4 spacious bright bedrooms and 2 bathrooms. The main bathroom is equipped with Jacuzzi bath, separate shower, and double washbasin. Guest bathroom equipped with shower and washbasin. Separate toilet. Stairs to the top floor, spacious bright bedroom with access to the roof terrace with great views. This spacious family house is well maintained.